You get the purchasing power, benefits and worldwide acceptance as with other cards, but the Heartland MasterCard also gives you more — a choice. Have a credit card somewhere else? Transfer and save! Best of all, you can earn points redeemable for cash, travel and gift cards. Open a Heartland MasterCard today and get as low as 10.50% APR** with NO ANNUAL FEE. **APR = Annual Percentage Rate. Quoted rate is the lowest available rate, reflects all possible discounts, and is accurate as of March 1, 2019. Your rate will be based on your credit history and may be higher. Rates and terms are subject to change based on market conditions and borrower eligibility. Click here to read the MasterCard Application & Solicitation Disclosure. 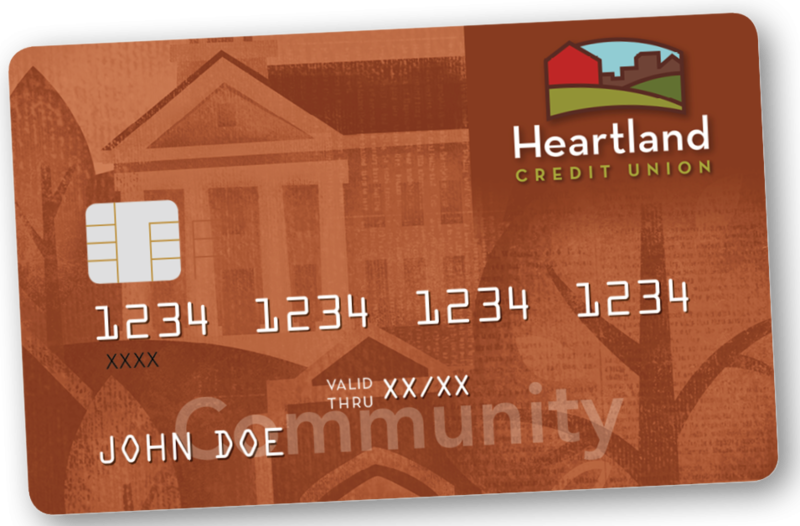 Get rewarded just for using your Heartland MasterCard Credit Card. With Rewards!, you earn 1 point for every $1 spent. This Guide to benefits contains detailed information about insurance and retail protection services you can access as a preferred cardholder.